If you are having trouble sleeping, a good first step is to become informed about what sleep is and the factors that affect good sleep. Dr Harrington has written two books with just this in mind. In both books she describes the processes of sleep and details what steps you need to take to ensure deep, restful sleep. These books provide vital information on what you need to do and which habits or behaviours you may need to change in order to get the sleep you want. So before you decide you can't sleep, make sure you are fully informed by reading one of these books. It could just be life-changing! This is your complete guide to putting troubled sleep behind you and to getting the high-quality and restful sleep you need and deserve. If you would like to purchase this book click here. As a society, we are sleeping far less than ever before, and carrying more weight than any other time in history. In this book Dr Harrington explores the connections between these two seemingly unrelated facts and demonstrates the critical link between lack of sleep and obesity. Drawing from the latest sleep and nutrition research, Dr Harrington reveals the science behind what happens to our bodies when we don't sleep, and how this critically affects our appetite-controlling hormones, our metabolism and how we think and feel. She explains why proper sleep is the missing link in the on-going and often agonising attempts to lose weight. 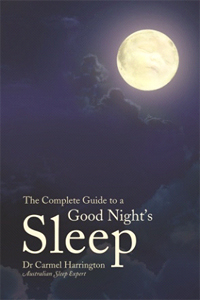 This book shows how to develop habits that deliver high-quality, restorative sleep. She provides a plan for healthy eating and a guide to making sure our improved eating and sleeping habits lead to lasting weight loss. 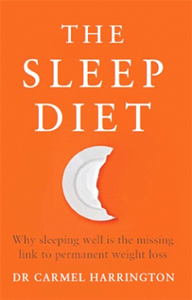 The Sleep Diet is both a scientifically proven approach and a practical guide to losing weight and improving overall health and wellbeing.